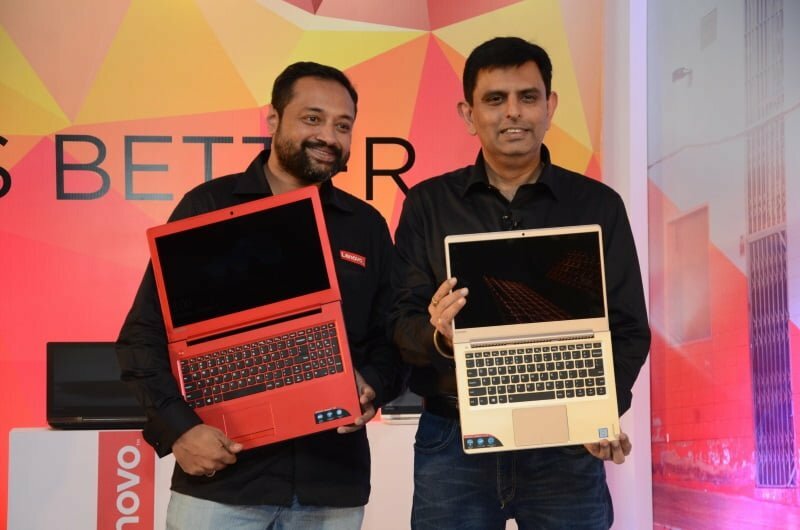 At an event, Lenovo announced eight new laptops for the Indian market. Five from the Ideapad series, two Yoga laptops, and one Miix. In anticipation of the upcoming festive season, Lenovo has launched a broad range of laptops for the Indian market – starting from ₹17,490 and going as high as ₹1,28,090. Here’s what’s coming. The Ideapad line-up is Lenovo’s offering for the masses – good, durable laptops with just enough features to make them worth your money; but without any fancy features. Ideapad 510s – At ₹51,090, the 510s is a thin and light laptop packing a 14″ FHD display. With a 7th generation Core i5 7200U and 8 GB RAM, this laptop sure packs a lot of power under that hood. The two features Lenovo is banking on to sell this laptop: lightning-fast charging and two speakers certified by Harman Kardon. Ideapad 710s – With a price tag of ₹73,390, this one surely is a lot more expensive than the 510s. It justifies that price tag by giving you a 13″ QHD+ display, a 7th generation Core i7 7500U with 8 GB RAM and two 2W JBL speakers with DAX2 certification. The keyboard is backlit, the webcam is 720p HD, and one of the USB ports can provide power to your device even if the laptop is off – it’s these little things that make the laptop worth that price. Ideapad 700 – Now, the number 700 might be less than 710s; at the price of ₹1,28,090 this one is the most expensive laptop Lenovo has launched. Targeted towards gamers – who demand the most out of their hardware. The detailed specs are not available just yet – but we do know that it comes with a 7th generation Core i7 processor, and up to 16 GB of RAM. The GPU is a Nvidia 960M 4 GB – why Lenovo went with the last generation instead of the most recent 10xx series is beyond us. Lenovo plans on selling this one by luring you into a deal for a kit – the kit comes with a mechanical keyboard, a gaming mouse and a ‘special’ headset. While that is also vague, Lenovo says it would cost you an oddly specific amount of ₹19,496. If you buy the laptop, Lenovo will sell it to you for a mere ₹2,999. It could be a good deal – depending on what the actual keyboard, mouse, and headset are. Ideapad 310 – Sometimes you just need a touchscreen display – no matter what the device – and Ideapad 310 offers just that. At the price of ₹28,390 – the laptop packs a 7th generation Core i5 7200U with 4 GB Of DDR4 RAM and a 1 TB 5400 RPM hard disk. You also get two 1.5W Dolby Audio speakers and a 15″ FHD display with a 720p HD webcam on top of it. Ideapad 510 – This non-‘S’ version of the 510 laptop comes at a higher cost – at ₹61,690 the laptop comes with the better 7th generation Core i7 7500U processor and 8 GB of DDR4 RAM. You also get a discrete graphics card – a NVidia 940M 4 GB which powers a 15.6-inch FHD display. 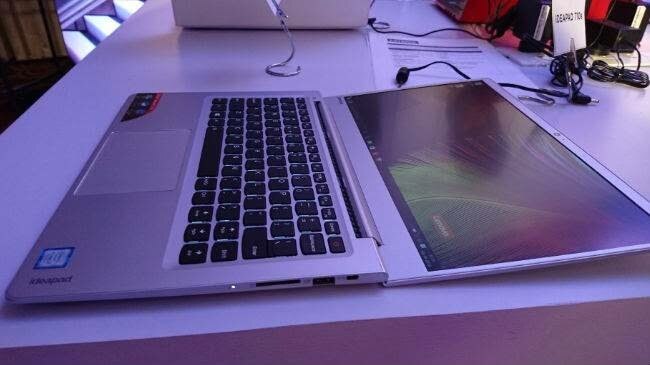 The Yoga line-up is for those who demand more from their machines – these laptops can turn into a tablet whenever you ask for it while delivering the same performance you expect from a laptop. Yoga 710 – Yoga 710 is sleek, slim, built out of premium materials and has a 14″ FHD touchscreen display – expected since the laptop folds all the way backwards, as any Yoga series laptop is expected to. The laptop comes with two JBL speakers, a NVidia 940M 2 GB and a 7th generation Core i7 with 8 GB of RAM. The price of ₹85,490 is sure to turn a few heads, but the laptop sure tries to sell itself with its fancy features. Yoga 510 – The Yoga 510 is for those who want to have everything but would rather not spend too much money on it. Obviously, there is no such thing – but one can try. It is thicker than the 710, not as sleek, not as premium; it packs a somewhat similar punch for the price of ₹40,990 – that’s less than half of the 710. For that price, you are getting a 7th generation Core i5 7200U with 8 GB of RAM and an unspecified NVidia 2 GB graphics card. All of that powers a 14″ FHD display. In the end, we have the Miix – the cheapest laptop of them all, and perhaps one of the most affordable 2-in-1 laptops you could buy. The Miix 310, comes with a 10″ 1280×800 display, powered by an Intel Atom X5 X8350 processor and 2 GB of RAM. At the price of ₹17,490 – you surely can’t expect more; the display is a touchscreen as well. What’s interesting about this one is the inbuilt 4G connectivity – it is optional, but should you choose to add it, you will have access to the internet wherever you go. The screen is detachable, so you can use the laptop as a tablet – which is what makes this a 2-in-1 device. It is clearly not a very powerful machine – but you get what you pay for, and the Miix 310 will give you what you paid for. These are the eight laptops that have launched in anticipation of the upcoming festive season. They will be available at Lenovo Exclusive stores, and outlets such as Croma, Reliance Digital, and Ezone. However, these prices are not inclusive of taxes or shipping – and you can, in fact, make a few changes to these laptops to get a cheaper (or more expensive) deal.